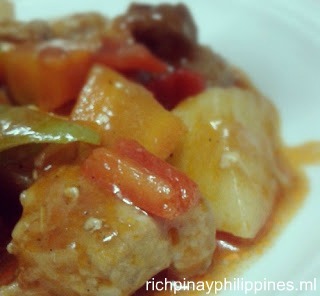 Afritada is a simple Filipino dish and this one of my favorites. It is one of those tomato based dishes. This simply means “stewed pork in tomato sauce”, usually cooked with carrots and potatoes. Afritada is a popular dish in the Philippines, from family gatherings to simple family dinners. My youngest child loves this dish because it is really tasty and I personally love it, too. Now let’s get down to the recipe.